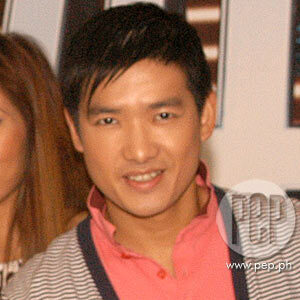 Don't be surprised if you see Tim Yap inside a church and not inside a bar. He says he would rather spend the Holy Week solemnly than go out in revelry. Blame that nagging party boy image. But did you know that eventologist Tim Yap would rather spend the Holy Week here in Manila than go to the beach? "I love spending my Holy Week in the quiet confines of Manila," revealed Tim to PEP (Philippine Entertainment Portal) in a text message. "Where I can go to a nice solemn church to pray." Surprisingly, the guy popularly known for organizing the hottest parties and events around the metro all year long is taking a breather while most of his friends and close associates are chilling out in Boracay to make the most of the long holiday. But it wasn't always like this for Tim, only recently, he shared. So what exactly triggered him to drop the routine from his well-marked itinerary? Apparently, Tim—who is also a model, newspaper columnist, entrepreneur and TV personality—has had enough of the loud partying, at least during the solemn season. "I used to go to Boracay a lot before for parties," he confided, "but it became too chaotic for me. If ever I'm in Bora, I choose to go to the quiet side." Tim also mentioned his childhood Holy Week memory: "Baguio moments doing Visita Iglesia with my family." Tim Yap joined the GMA-7 reality-based singing competition Celebrity Duets last year, allowing him to gain a much broader audience outside his elite circles.